Kambô is a traditional medicine obtained by the gland secretion of the Amazonian green frog, Phyllomedusa bicolor. Ancient stories tell us that indigenous people belonging to the Katukina tribe were very sick, and El Pajé (the doctor) wasn’t able to cure them with local herbs and medicinal plants. The spirit of Kampu then appeared to him in a prophetic vision and illustrated how to use the white secretion from the sacred frog to heal his people. Since that moment the Amazonian tribes relied on the venom of the sacred frog known as Sapo, Kambô, Kampu o Vacina da Floresta, to improve their health. Most of these tribes still use Kambô to increase the “Panema” the magical energy which give extraordinary powers for hunting. They also treat malaria, snakebites, fever, infections, infertility and to detoxify the body and to clean the mind. It is said that this sacred medicine can strenghten the individual stamina and support the body during chronic fatigue and pain. In addition to powerful analgesic effects, this medicine has anti-inflammatory power; it can heal infections and regulate blood pressure. Other potential uses include treatment of depression, migraine, blood circulation problems, Alzheimers and Parkinson’s disease, vascular insufficiency, organ diseases, cancer, hepatitis, even AIDS. There are several active research studies interested in the potential healing properties of the venom. 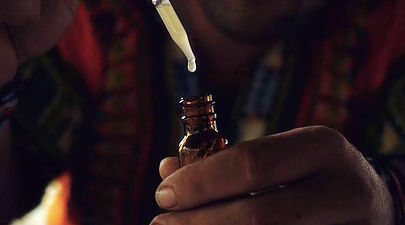 Researchers are trying to identify the peculiar chemicals which make Kambo unique. We now know some of the many and significantly bioactive peptides like bradiquinins (phyllokinin), taquicinins (phyllomedusin), tryptophyllins, dermorphins, deltorphins and more. Recent studies confirmed that Kambô contains various antimicrobial peptides able to kill resistent bacterias, virus, fungi and parasites. Particularly the molecule dermaseptine B2 has been proved to fight some cancerogenic cells. Kambo is one of the most powerful natural remedies for boosting the immune system and for detoxifing the entire body. Important disclaimer: frogs are not harmed during Kambo collection. Spiritually, Kambô is said to be that light opening the heart and facilitating emotional blockages and obstacles. This is pure holistic treatment which naturally align body, mind and spirit at different levels. In a session of kambô you will experience a rapid reaction of your autonomous nervous system (sympathetic and parasympathetic) as well as a vomiting and possible temporary swelling. The full ceremony normally lasts in between 2 and 3 hours depending on the person. The intense effects last in between 5 to 40 min. Kambô works mostly to purge the body of toxins and heaviness, dullness of body and spirit. The energetic and health benefits that many report, usually come in the days and weeks that follow. The Kambô secretion is usually applied to superficial burns on the skin. A small stick is made red hot and just the top layer of the skin is burned. Kambô is then applied onto the burn and thus absorbed into the body. This is the only way to administer it. Burns generally disappear in a week. Thus it is a very intense physical experience, the mind is clear and focused. Kambô therapy is safe, but it is not recommended to individuals with heart problems or anyone with bypass surgery. This is because during the sessions the heart rate will increase for about 5 minutes and the heart must be healthy to adjust, Kambô is also not recommended for pregnant women or women who are breast feeding, nor the elderly, people with Addison’s disease, anyone on chemotherapy, or with high blood pressure treated with medication, those with very low blood pressure, or the severely ill.
Rapé is a legal, sacred shamanic snuff medicine used mainly by South American tribes. Rapè snuffs are made in a very sacred and labour intensive process which consist of various Amazonian medicinal plants, trees, leaves, seeds, and other sacred ingredients. Some types of rapé are made by various indigenous tribes, who originate from different South American countries – primarily Brazil and Peru. Rapè is a very sacred, powerful, profoundly healing and cleansing medicine. Generally, the resulting effects profoundly help to realign and open all your chakras, improve your grounding, release blockages on a physical, emotional, mental and spiritual level, clear mental confusion, release negative thoughts and bring calmness and introspection. Each different type of rapé has a different energy, note, quality and very different effects on the energetic field. 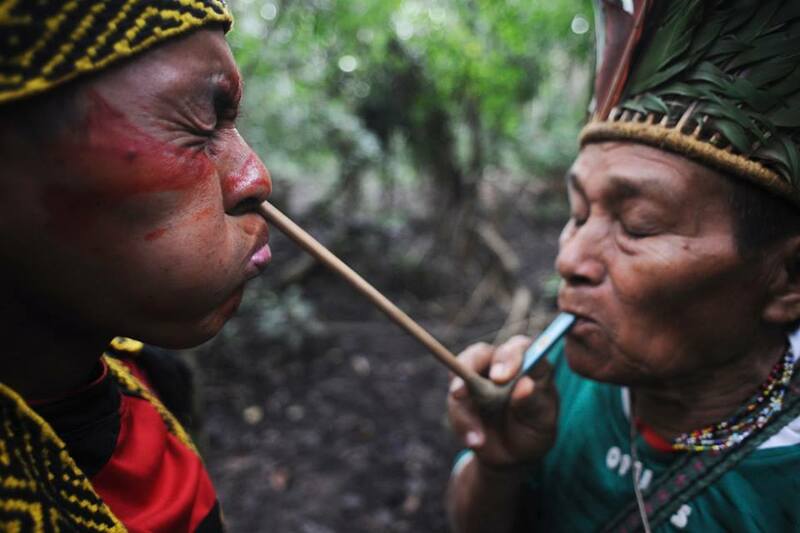 Traditionally, during Yawanawa, Kaxinawa-Huni Kuin and Katukina (Brazilian Indigenous tribes) ceremonies, Rapé and Sananga eye medicine are used during Ayahuasca ceremonies to help with purging, releasing sickness, moving any stuck energies, opening up the visions and for clear sight. Sananga is a very powerful Amazonian extract made from the roots and bark of a shrub called Tabernaemontana undulata, part of the Iboga family. Traditionally Sananga has been used by the indigenous tribes of Brazil for hunting within the Amazon jungle in order to feed their families and tribes, to sharpen their vision, awareness and extra sensory perceptions and stay focused and strong. Using these sacred eye drops they intend to heal what they call Panema, a lack of drive, motivation or focus, laziness, depression, sadness, bad luck and negative energetic influences that attract difficulties and disease. The main active ingredient of this plant is Ibogaine, a powerful alkaloid also used to treat addictions. Sananga generally improves vision, extending the connection into the spiritual realms. Energetically Sananga works to open up the inner vision and helps to decalcify and activate the pineal gland.